Anyone who has ever criticized Charlotte-Mecklenburg Schools (and there are a lot of you) should watch this new video posted today on YouTube by the school district. And not just CMS, but critics of public education everywhere should watch the approximately eight-and-a-half-minute long video. I'm not here to defend CMS, but far too often far too many people bash our local public school system that educates 138,000 students--53 percent of which are categorized as economically disadvantaged--in 159 schools throughout the county, never giving them credit for anything and pretending as if their jobs aren't challenging. In the video, CMS starts by stating the effect the recession has had on the district: "We slashed our budget, eliminated resources, and laid off employees," reads a slide in bold print. "And through it all, student achievement increased." 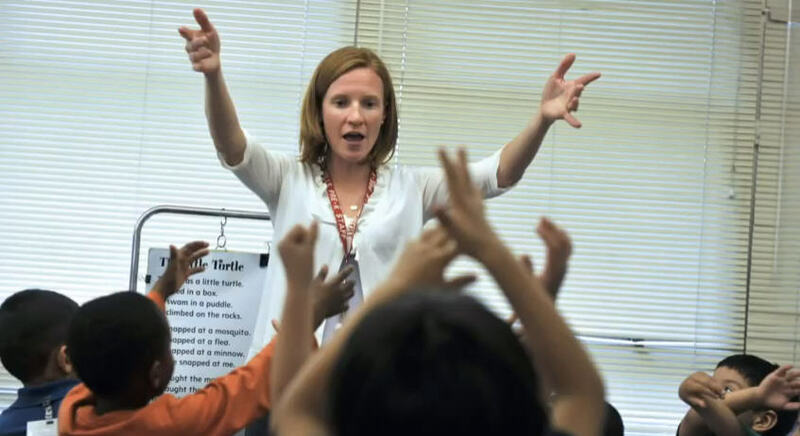 Teachers are then shown touting CMS's recent success, such as improving scores on state tests and the SAT, and increasing the graduation rate from 67 to 74 percent in four years. But what's at the heart of the video--and what should undoubtedly tug at your heart strings--is the showcasing of the hardworking people who come to our schools every day to try to create a great learning environment for our kids. CMS staffers discuss the roles of bus drivers, custodians, cafeteria workers, and teacher assistants. And then there's the profile of the most critical piece of the puzzle: the teachers. It's pointed out in the video that CMS teachers and support staff haven't received raises since 2008. We all know that teachers, who have one of the most important jobs in the world, are grossly underpaid. In the video, several of them talk about having to work second jobs just to pay their bills. Yet, if you read the comments section of just about any news article about public schools, there's usually a large contingency of people who criticize teachers. Why don't you try doing their jobs for the salary they bring home? And I believe--and know several examples firsthand--that most teachers give 100 percent to their jobs despite not being paid well. "Teachers are people, too... They go home to families," a CMS official says in the video. At the end of the video, this message appears: "Continuing the academic success in CMS will take the support of an entire community."